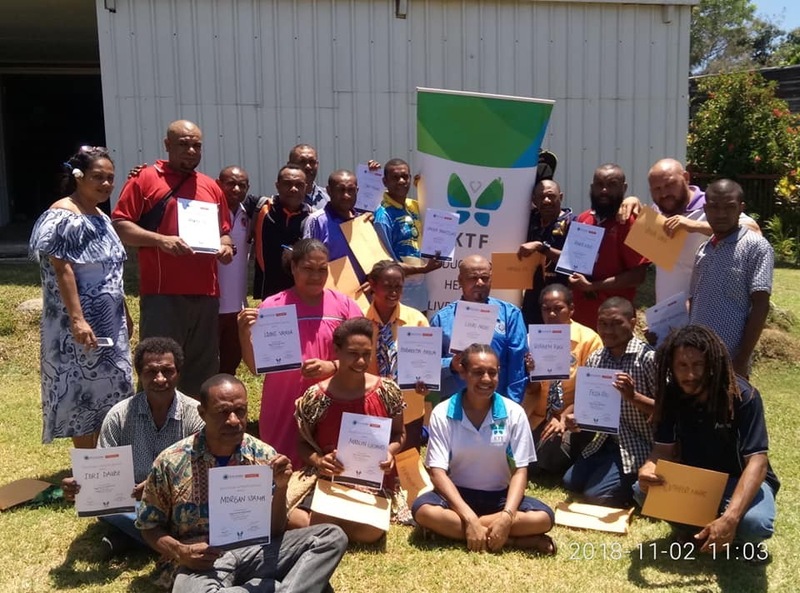 In a first of its kind project, KTF is partnering with 4ize Pty Ltd to develop and deliver innovative vision testing services for remote and rural PNG and specialised training for health workers. Vision impairment is both a cause and consequence of poverty. There is a high prevalence of blindness and vision impairment in PNG, especially in remote areas where access to health services is limited. A 2006 blindness survey found that 32% of people aged 50+ are vision impaired and of these 8% are blind. It is estimated that more than a quarter of a million of the rest of the population is vision impaired or blind, however data is patchy at best. Reducing rates of avoidable blindness and vision impairment in PNG is a vital step to improve health outcomes, increase access to education and employment, and facilitate community and economic participation. Reducing blindness and vision impairment improves quality of life not only for those whose sight is improved but for their carers, families and communities. Vision 2020 estimates that 75% of the blindness and visual impairment in PNG is treatable or preventable. Our new portable, affordable and easy-to-use testing system can be administered by unskilled personnel after a 1-day training course to test for nearsightedness and farsightedness. Our transportable spectacles kit then enables prescription spectacles to be assembled on the spot for people with confirmed refractive error. Reading glasses, distance glasses and bi-focals can be assembled immediately after testing. Our innovative testing and spectacles assembly kits have been designed by leading ophthalmologist, Dr Sarah Crowe, from our partner organisation 4ize and we are currently in pilot phase, testing the vision testing systems and glasses assembly kits. To date, we have prescribed 1,000 pairs of glasses to people in the Kokoda and Gorari catchment regions. 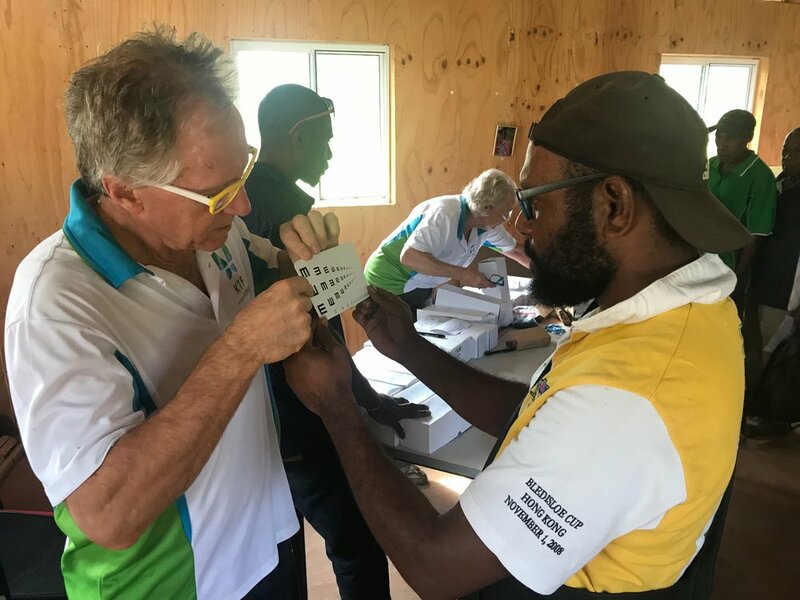 Community Health Workers operating in remote and rural PNG need ongoing support for the identification of eye related problems including refractive error, cataracts, macular degeneration, glaucoma and other eye diseases. Improving CHWs knowledge in these areas enables them to make informed decisions when caring for patients in rural areas and identify any referral pathways or treatment options that might be available to them. Better education will lead to more information about protective measures and referral pathways available to people with eye health problems. KTF partners with PNG Eye Care to deliver a post-graduate training program in eye health and eye care for community health workers. To date, we have delivered this training to 80 health workers from 9 Provinces across PNG.